Friday, October 14th, 2016 witnessed the official launch at Zwicker’s Gallery in Halifax of Lance Woolaver’s full-length biography of Nova Scotian folk artist Maud Lewis, published by Spencer Books. Woolaver’s book is the culmination of a lifetime’s work on the subject. More than two decades of research went into this landmark 450 page tome. He grew up near Maud Lewis’s house, and his father, Judge Philip Woolaver, was one of the legendary folk artist’s two patrons (the other was her physician). With the release of the Newfoundland / Irish feature film co-production Maudie this year, interest in the life and work of Maud Lewis is cresting again. Fifteen years ago, a national tour of her paintings, along with the publication of the best-selling coffee-table book The Illuminated Life of Maud Lewis by Woolaver and Bob Brooks, and sellout performances of Woolaver’s play on the same subject, brought the iconic folk artist’s work to national and international audiences. The new feature film and Woolaver’s indicate a further revival is underway. 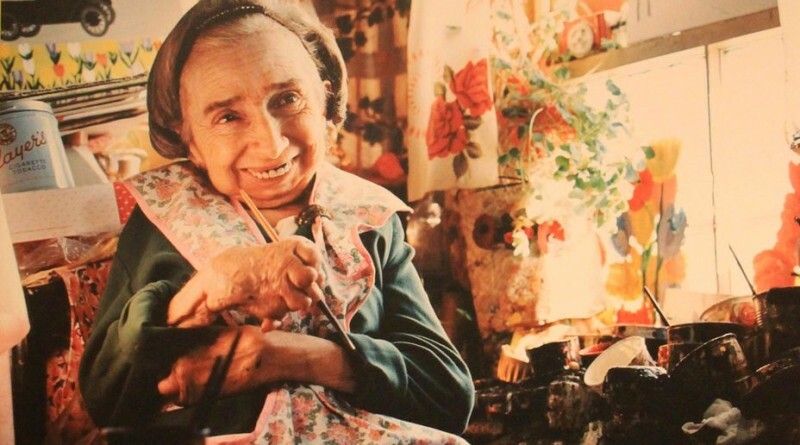 While the film sugar-coats many aspects of Maud Lewis’s difficult life (no doubt a necessity for a commercial release), Woolaver’s book dives in and brings available light to the painter’s true lifelong sufferings. That she managed to concoct such bright and cheerful paintings under such dire social and personal conditions is something of a miracle. While the film works hard to humanize her husband Everett, portrayed by the great actor Ethan Hawke in a vivid performance, the facts of the story, laid out in Woolaver’s book, are simply horrifying. Woolaver, in his introductory remarks at the book launch, was unflinching. He calls it a ‘very dark book’ – and it is, as befits the true story of its subject.